The information and discussion about the activities of and the accumulation of various forms of capital by some Peace Corps Volunteers (PCVs)—all in South America—is interesting (Anthropology News, December 2011, March 2012). President John Kennedy adapted the blast “ask not what this country can do for you, ask what you can do for this country” from his prep school headmaster’s command “ask not what this school can do for you, ask what you can do for this school”. The predecessor of the American Peace Corps (PC) project was the “Community Development” (CD) model housed in several American universities funded by the government and designed to coordinate various “development” projects in foreign countries and to cloak the real intentions of the American “foreign aid” program which was intervention in and control of the civil and political societies of the “Underdeveloped World”. During the 1950s the University of Wyoming was engaged in such a project in Afghanistan. In early 1960s Michigan State University was deeply involved in community development projects in Cambodia, Laos, and South Vietnam. The MSU anthropology/sociology and political science departments and its School of Police Administration were leading participants in these programs. Wesley Fishel (political science) and John Donoghue (anthropology) were some of the MSU faculty I remember who were involved in course offerings and field projects connected to community development. The Peace Corps was clearly an instrument of American post-WWII imperial stretch and Cold War strategy designed to undermine the presence and influence of the Soviet Union in “Third World” countries especially those constituting the “non-aligned” movement (led by Nasser, Nehru, Nkruma, Sukarno, and Tito) of which Afghanistan was a charter member. The American rage and hubris-driven imperial apparatus is a master of destruction, fragmentation, division, and separation. During the past sixty five years everything touched by this machinery (and its layers of real or imagined fear—“we are about to be hit”) has turned to dust—from the Middle East (except Israel) to Korea to Southeast Asia to Iran to Cuba to Afghanistan to Iraq to Somalia to Yemen to Middle and South America. Afghanistan, Iraq, and Palestine are the most devastated and bloodied victims of this imperial stupor. This frustrated and stupefied American imperial disposition was consolidated and its components fitted with various cloaks during the 1960s. Its Peace Corps component was masked with a smile and equipped with elementary competence in local culture and spoken language of the Other—pamphleteer history and culture and nutshell colloquial Kabuli Farsi in the case of Afghanistan—essentially what the Human Terrain System currently provides its participants headed to camping out in Afghanistan. It would be interesting to systematically study the history and political and ideological moorings of the PC programs and operations in countries like Afghanistan, Egypt, Ghana, India, Iran, and Pakistan. The anthropologist Louis Dupree, the famous authority on Afghanistan with known CIA connections (Senate 35: S4649-S4950, 1989), has written a chapter about PC in Afghanistan in Robert Textor’s 1966 Cultural Frontiers of the Peace Corps. The first group of PCVs arrived in Afghanistan during late 1962. Over the next decade the program expanded and stabilized into a level of comfort resembling the ease of thousands of Euro-American hippies who had found themselves scattered throughout Afghanistan and crowded into Kabul on their way to the spiritual highlands of northern South Asia. 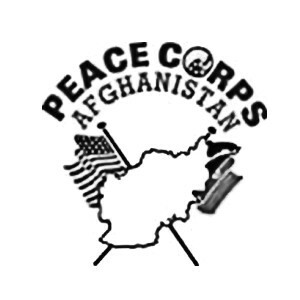 Peace Corps operations in Afghanistan were terminated after the Kabul government was overthrown by the Khalq revolution in 1978. This and the 1979 Islamic Revolution of Iran intensified the level of frustration and rage in the American imperial hubris. To my knowledge only one PCV converted the Afghan experience into an MA and PhD in anthropology. During summer 1965 I served as an assistant to the area studies component of the PC training program for Afghanistan at the University of Texas, Austin. I remember constant whisperings about the CIA involvement in this and previous Afghan PC programs and the connection of some of its staff to the US intelligence agencies. One of the Peace Corps Volunteers who spent years in Afghanistan and who was deeply devoted to, inspired by, and worked closely with Dupree was Thomas Gouttierre, current director of the popular Afghanistan Studies Center (ASC) at the University of Nebraska-Omaha Gouttierre has testified numerous times during the last three decades before the US congress on behalf of continued American intervention in Afghanistan. “Peace Corps volunteers host a ‘Hootenanny’ for Afghan orphans (Kabul, 1965)”. Craig Shulstad entertains children with songs, while Thomas E. Gouttierre (just behind Shulstad’s right shoulder, looking down at the ground) stands next to his wife Marylu (sunglasses, to the right of Shulstad’s left shoulder). The ASC housed the Afghanistan Studies Association (ASA) during the early 1970s and I served as its president during 1973-74 totally unaware of its ideology and political connections and activities. In retrospect the ASA served as an academic cloak for ASC. Gouttierre was the self-appointed secretary of ASA throughout its life course. Other PCVs with experience in Afghanistan who have been associated with the ASC at UNO include Christian Jung, David Champaign (currently advisor to the US military). The close connection between the ASC and CIA and other US government military and civil operation has been recently publically aired at UNO. Currently ASC works closely with the US Army’s Human Terrain System programs in Afghanistan. (See anthropologist John Allison’s report on Zero Anthropology.) The textbooks currently used in the schools of Afghanistan are produced by ASC. The center has maintained extensive ties with US military and intelligence operations in Afghanistan for the past 35 years. The ASC staff have produced several studies about the mineral resources of Afghanistan (e. g. works by Christian Jung, and Jack Shroeder). Several US educated Afghans who have worked with the PC training programs as language instructors have become prominent members of the American occupation program in Afghanistan—“Brown Skins with White Masks”. Mohammad Esmael Burhan, PhD University of Texas in linguistics, is currently a senior staff member at ASC. Ehsan Entezar, a favorite of PCVs for his legendary Kabuli attitude and humor, has written “Afghanistan 101”, a fixture in virtually all American government libraries. Hedayatullah Aminarsala, currently the chief Kabuli advisor to Hamid Karzai, taught Farsi in several PC training programs for Afghanistan during the 1960s. His wife, Betsey Thomas, was a PCV in Afghanistan during 1965-67. The number of PCVs with service in Afghanistan and associated with the American military and political operations in the country is difficult to determine. But based on what I have been told and what an educated guess suggests, scores of PCVs with experience in Afghanistan have participated in the American occupation machinery of Afghanistan. The impact of the attempted Euro-Americanization of Afghanistan by PC is not easy to gauge. However, some of this effect speaks for itself in the rubble of the state format of Afghanistan caused largely by the dark minded rage of the American imperial warfare machinery—the ideological and material parent of the so called “Peace Corps”. Your article bring up an interesting point on Peace Corps program rhetoric. The Peace Corps says they are trying to make a separation between their program and government intelligence activities by not allowing anyone previously involved with the CIA etc. to serve. BUT, there are no restrictions on where former peace corps volunteers can work after they return. Many peace corps volunteers are young students out of college who are going to develop their specialty after they finish, not before they go. They may or may not even know what they want to do after they return, but it can still serve as a stepping stone, an initial route into further involvement. Gene A. Cretz hails from Albany, New York, and attended the University of Rochester, graduating in 1972 with a degree in English Literature. He later received a Masters of Science Degree in Linguistics from the State University College at Buffalo (1975). Cretz served as a Peace Corps Volunteer in Kabul, Afghanistan from 1975-1977, and joined the Department of State in March 1981. His first Foreign Service tour was as General Services Officer and Consular Officer in Islamabad, Pakistan (1982-84). He then returned to Washington and served one year in the Operations Center and one year as Staff Assistant in the Bureau of Near Eastern Affairs (NEA). From 1986-88, Mr. Cretz was a political officer in Damascus, Syria, followed by a tour as a political officer in New Delhi, India (1988-91). After leaving India, Mr. Cretz served in Tel Aviv (1991-94) where he was responsible for Arab affairs portfolio, including the Gaza Strip. His second Washington assignment was in the Bureau of International Organizations as the officer responsible for Middle East Affairs at the United Nations. From 1998-2001, he served in Beijing, China, where he was in charge of China’s External Affairs portfolio. In 2001 he transferred to Cairo, Egypt where he served as Minister-Counselor for Economic and Political Affairs. He returned to Damascus, Syria in August, 2003 as Deputy Chief of Mission and subsequently served as Chargé d’Affaires of the Embassy until January 2004. Most recently he has been the Deputy Chief of Mission in Tel Aviv from August 2004 until August 2007. Mr. Cretz was nominated by the President on July 11, 2007 to serve as Ambassador to Libya, and was confirmed by the Senate to serve as Ambassador on November 20, 2008. While awaiting Senate confirmation, Mr. Cretz served as the NEA Bureau’s Deputy Assistant Secretary for Egyptian, Israeli-Palestinian, Jordanian, Lebanese and Syrian Affairs. On August 4, 2008, he assumed responsibility for Maghreb and Arabian Peninsula Affairs. Mr. Cretz was sworn in as Ambassador to Libya by the Secretary of State on December 17, 2008. Mr. Cretz speaks Dari, Urdu, Arabic and Chinese. He is married to the former Annette Williams, a Registered Nurse from Union City, New Jersey. The couple has two children, Jeffrey and Gabrielle.